Need to keep the kiddos busy this summer? How about boxing camp? As part of our ongoing AroundMainLine.com series celebrating health and wellness around the burbs, #Fit15, we bring you a terrific idea to keep the kiddos busy this summer. 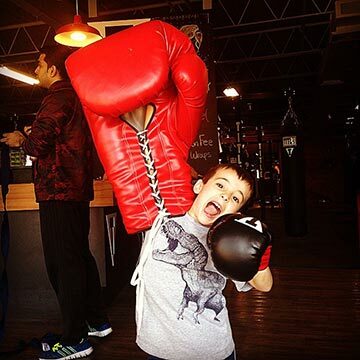 Introducing Title Malvern’s Kid’s Summer Boxing Clinic kicking off Monday, June 8th through Friday, July 31st. More Info. : Weeks do not have to be consecutive. Classes will consist of a half hour of learning boxing technique with the last hour applying what was learned that day. Kindly arrive at least 15-20 minutes before class for hand wrapping and paperwork. Registration: Kindly email bryonna.odhner@titleboxingclub.com or call the club directly 610-647-1852. Title Boxing Malvern is located at 480 Lancaster Avenue in Malvern, PA.